The 12-hour AEP class Maryland can be described as an instructional program which is aimed at providing rehabilitation for those individuals who have been convicted of DWI or DUI. The abbreviations AEP, DWI, and DUI mean Alcohol Education Program, Driving While Intoxicated and Driving Under Influence respectively. Why would you be assigned to AEP? You may be assigned to AEP if you are referred by OAH (Office of Administrative Hearings) Administrative Law Judge, by District Court Judge, or you may have applied for a new driving license after the original was revoked after conviction due to an incident related to, or caused by alcohol. What is the procedure for joining AEP? When required to attend Maryland Alcohol Education Program, the Department of Motor Vehicles will normally send referral letter which provides instructions on how to arrange preliminary alcohol assessment and also how you can attend AEP. 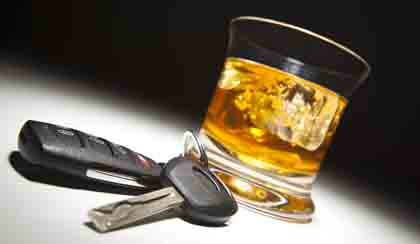 It is the results of preliminary alcohol assessment which determine whether or not you may be considered alcohol dependent or alcohol abuser. When the assessment finds that you are alcohol dependent or alcohol abuser, you may be required to undertake and complete 26-weeks ATP (Alcohol Treatment Program). This 26 weeks ATP includes 12-hour AEP class Maryland. If after preliminary assessment described above you are not classified as alcohol dependent or alcohol abuser, you will mostly be required to undertake and complete just one session of 12-hour AEP. For this to happen, you must do the following important things. Contact one of Maryland AEP providers and enroll for one of the sessions it offers. You must begin the AEP program within 90 days from the date of the referral letter. The referral letter should be taken to the AEP session. If you lost or misplaced the letter, a duplicate may be issued. After completing AEP session, the program provider will issue letter verifying that completion. Can you choose not to attend AEP? Should you not attend AEP by the date specified in the referral letter, the Maryland Department of Motor Vehicles may decide to suspend your driving privileges. The notification is usually by letter, and it will require that you surrender to a specified or any full-service Department of Motor Vehicles in Maryland. After completing the AEP, you will then be eligible to apply for new driver’s license. The drivers who after preliminary assessment are found to be alcohol dependent or alcohol abusers will be required to undertake and complete the 26 week ATP, which ordinarily includes the 12-hour AEP. These drivers will be accorded reasonable time in which they should complete the 26 week ATP program. What is the cost of the AEP? The cost of AEP is always a concern, and this is what you need to know about it. First, the cost of the AEP is normally set by individual AEP providers. Thus, you need to make any payments directly to the chosen or preferred Maryland SEP provider. Should you need to obtain new driver’s license, there will be a separate fee for that.